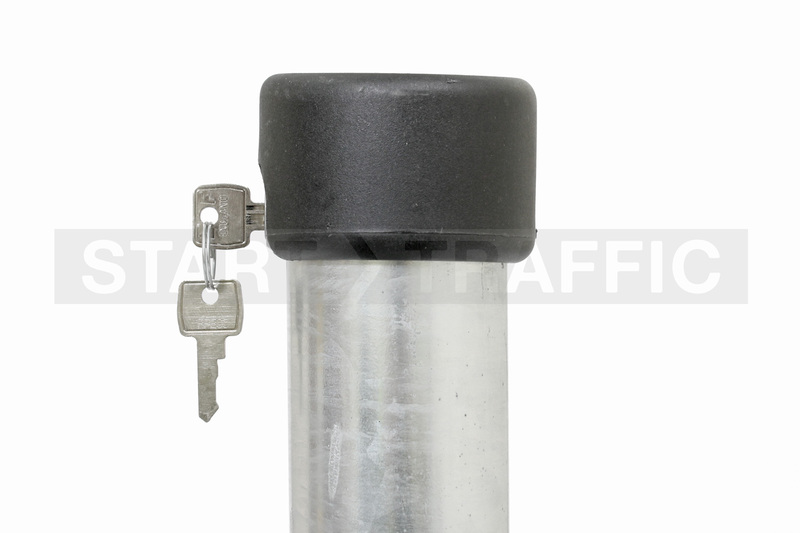 Padlock Parking Post Hinged Folding Design, Low Prices! Our padlock parking security post is a folding parking post with an independent padlock. The ability to have an independent padlock allows for fast and easy changes of locks when needed. The need to change locks could be because a member of staff has left a company, or the keys may simply have been lost. You can lock these Autopa posts in both the up and down position. Perfect for reserving a parking space or restricting access to an area. Another common use for these folding security bollards is as a theft deterrent. 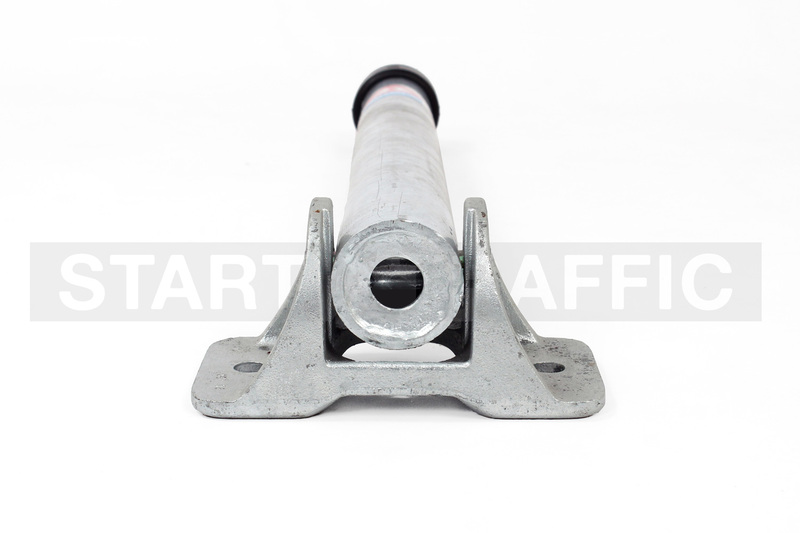 The post can be installed in front of a parking bay with enough clearance that it can be lifted again, effectively "locking" the car in. Installation of folding bollards is far easier than it is with telescopic bollards. 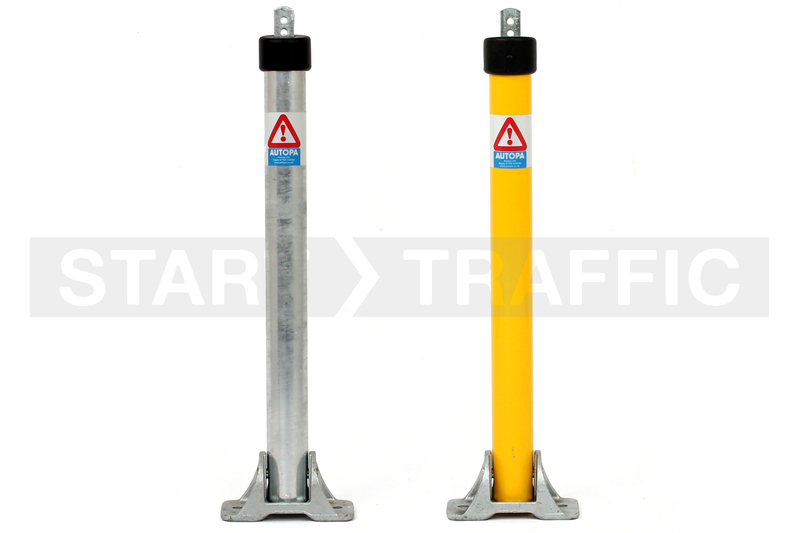 The Autopa folding parking post is surface mounted meaning that there is no digging required. Installation takes minutes per post. The equipment needed to install these parking posts includes a drill, 16mm socket, 16mm drill bit, and PPE equipment. You can purchase the fixings for these posts separately above. There are two standard options for these padlock posts galvanised and yellow. The galvanised finish prevents rust and vastly enhances the lifespan of the bollard. The yellow option is a painted finish that is applied on top of the galvanised finish. This vibrant yellow colour enhances the visibility of the bollard for drivers. Custom colours are available for a personalised appearance. Please call for more information if you would like a quote on a custom colour. This listing is for the padlock variant, these are great as they let you choose your own lock. We also offer an integral locking post that can be seen here. This has a built-in lock. They can be supplied with matching key sets so that all posts can be operated by a single key. Want Further Information On Pricing? Our sales team are here to help If you have further questions about pricing and delivery. They can be contacted about any of our product range by phone on 01905 794 875 or by chat during office hours.